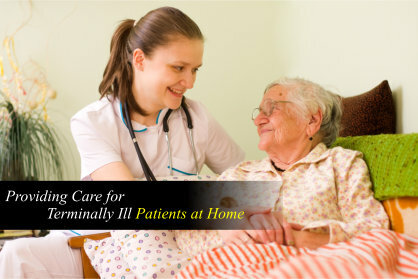 Providing Care for Terminally Ill Patients at Home | Ambercity Hospice, Inc.
For a terminally ill patient, whose days in this world are already numbered, being able to spend the remaining days of their life in the comfort and safety of home is a precious wish. At Ambercity Hospice, we help make that wish possible by providing the most comprehensive hospice care in Central Ave Riverside California. With our outstanding hospice services and your cooperation, you will find that continuing an effective care for your terminally ill loved ones at home is absolutely possible. Below are the most important things that a terminally-ill patient needs once they have transitioned from hospital to home care. Personal hygiene and the cleanliness of the patient’s environment is necessary to maintain their health. Whether you take turns with other family members or you want to hire a home health aide, always make sure that there is someone to watch over and take care of the patient’s personal and home care needs. Other than that, as the trusted provider of hospice care in Central Ave Riverside California, our Hospice care service, at Ambercity Hospice, includes a Hospice Aide that is trained and experienced in assisting with personal care, such as bathing, grooming, preparing meals, and more. Going back and forth to the physician’s office for check-ups and primary care can be absolutely taxing for the patient. The great thing about Hospice care is that a skilled nurse is already available to provide nursing care and symptoms management whenever necessary, right inside the patient’s home. The nurse will just relay the patient’s progress reports to the Hospice doctor and the patient’s primary physician to make certain if the decided care plan should be followed or changed for the benefit of the patient’s health and comfort. Whether the patient is spending the remaining days of their life at the facility or at home, emotional and spiritual guidance and support are necessary to prevent depression and grief. Towards the end of life, the patient will have many questions and frustrations in life that only a professional or an expert can help ease. Our Hospice Chaplain at Ambercity Hospice will be the one to provide that highly needed emotional and spiritual counselling to the patient for them to cope with end-of-life stage and have their minds at peace. At the end-of-life stage, the best and most reliable help and support are essential in improving the patient’s quality of life. Get only the most effective and outstanding hospice care from our brilliant and compassionate staffs at Ambercity Hospice. 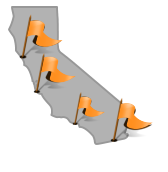 Call us at (951) 686-8100. This entry was posted in Medical Care and tagged home health aide, Inpatient Care, Respite Care, Routine Care. Bookmark the permalink.